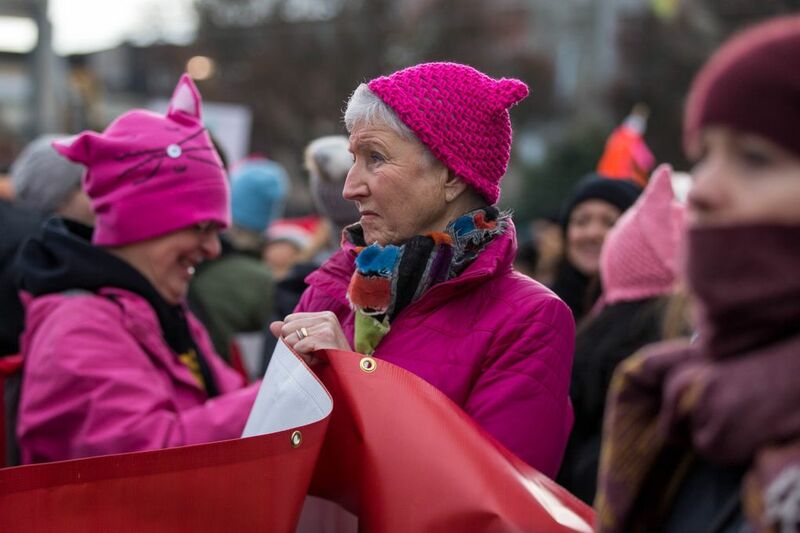 Holding signs and wearing pussyhats, thousands of people marched through downtown Seattle for the Women's March. Our live-update coverage has concluded, but read below to see how the events played out. 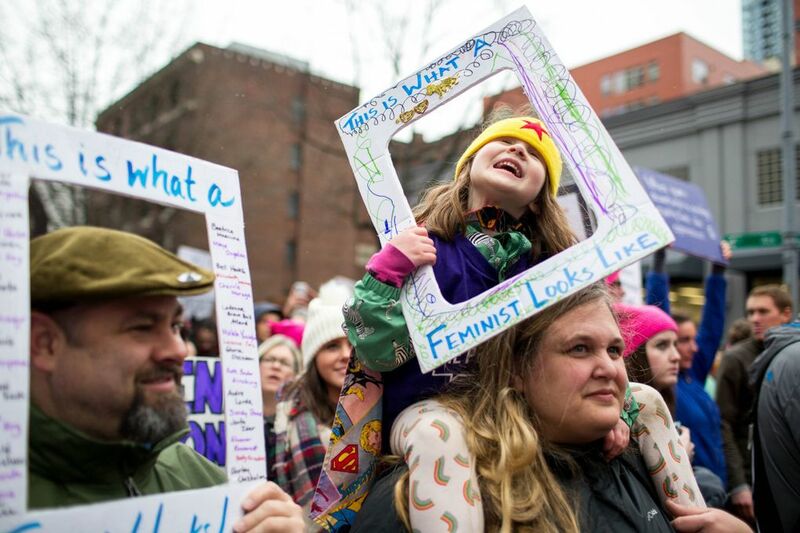 Thousands of people gathered on Seattle’s Capitol Hill Saturday morning for a massive march to Seattle Center spotlighting women’s rights, among a range of social-justice causes. 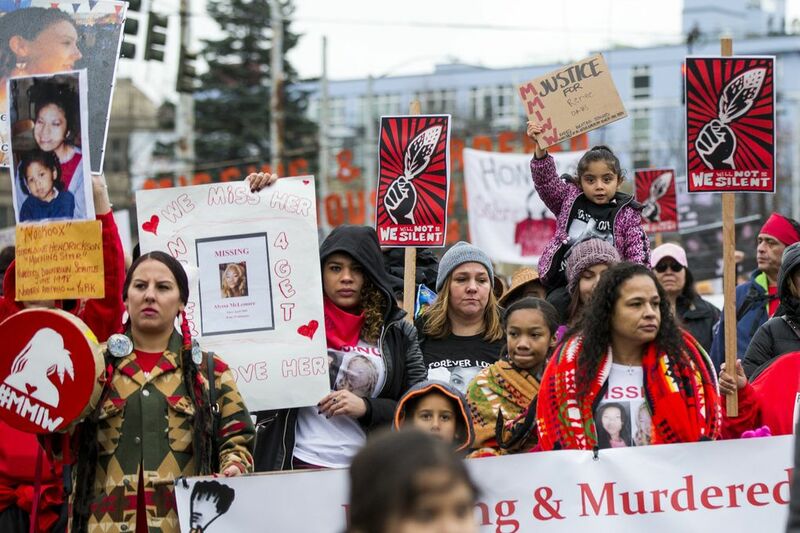 A rally started at 10 a.m. at Cal Anderson Park; the march began at 11:30 a.m. 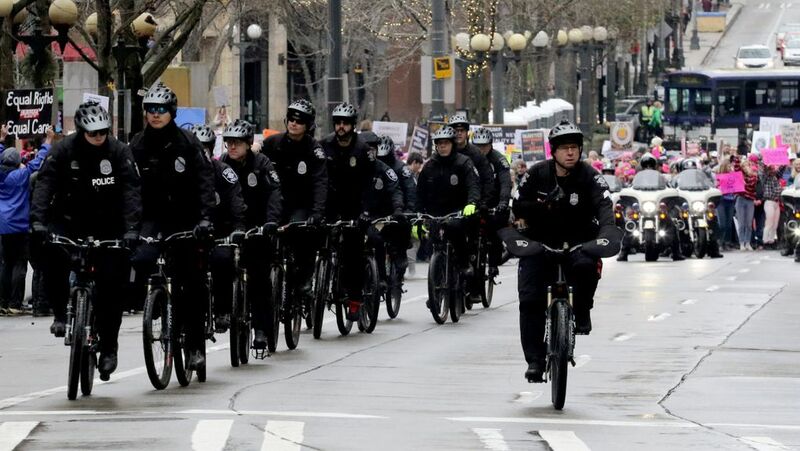 Please read our latest story about what motivated the masses in Seattle and elsewhere Saturday – with interviews and and photos from along the route. 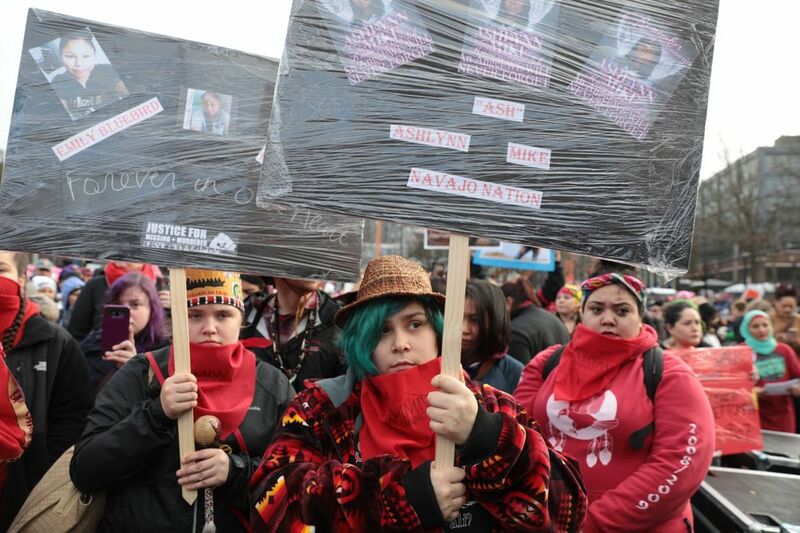 Most of the marchers left after they arrived at Seattle Center. For those still there, King County Metro shuttles downtown Seattle are located on the west side of Key Arena, at northbound First Avenue North and Harrison Street. 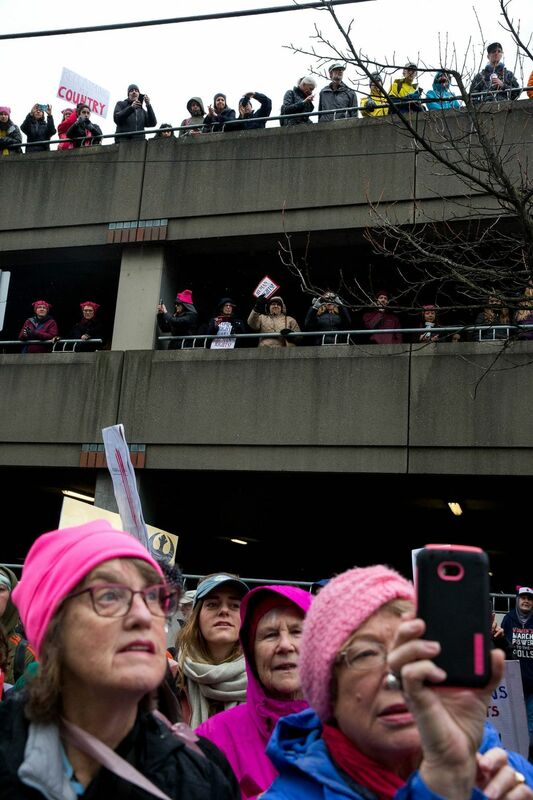 The front of the Women’s March has reached Seattle Center, while the back is still crossing over Interstate 5. 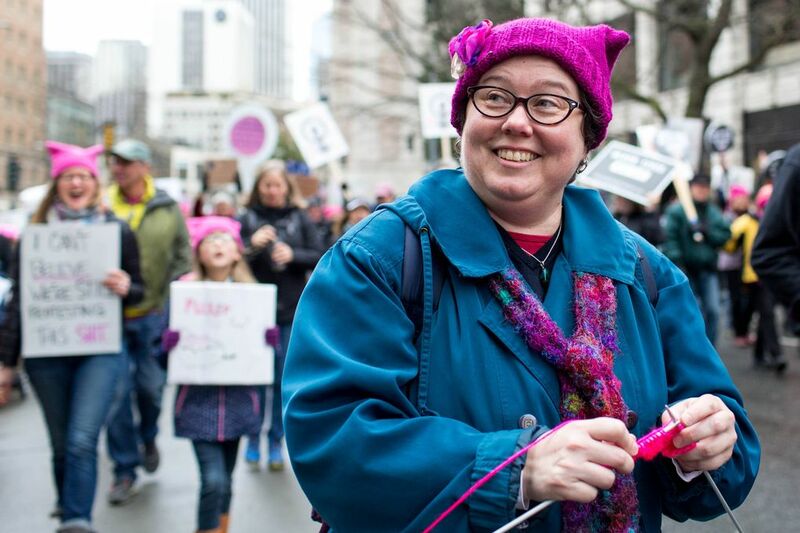 Seattle Times staff member Amanda Snyder was live on Capitol Hill as Women’s March participants moved toward downtown Seattle. Click above to watch the recorded video. 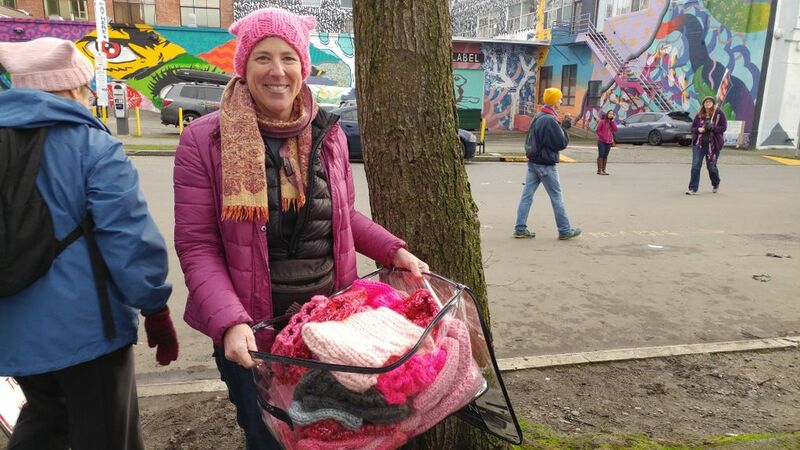 One marcher knitted 140 pussyhats with her daughter in Eugene. Read more about her here. 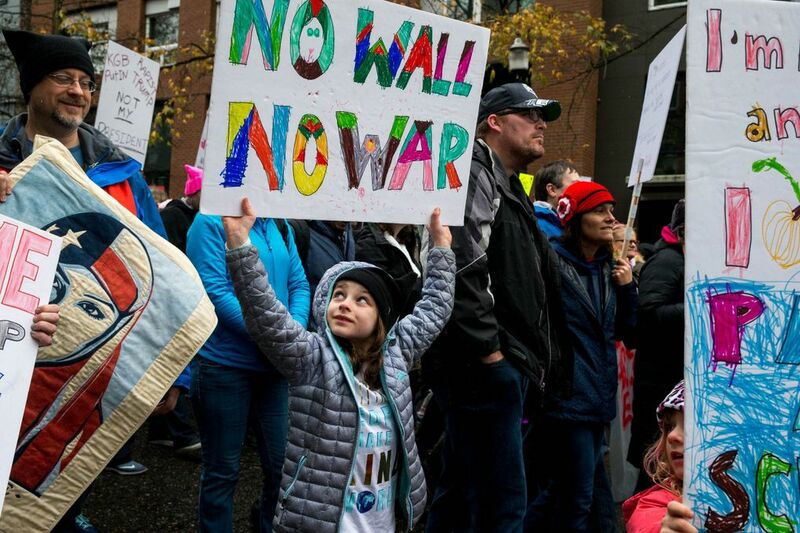 In Olympia, an estimated 8,000 people gathered at the Capitol building, according to Kyle Moore, spokesman for the Washington State Patrol. 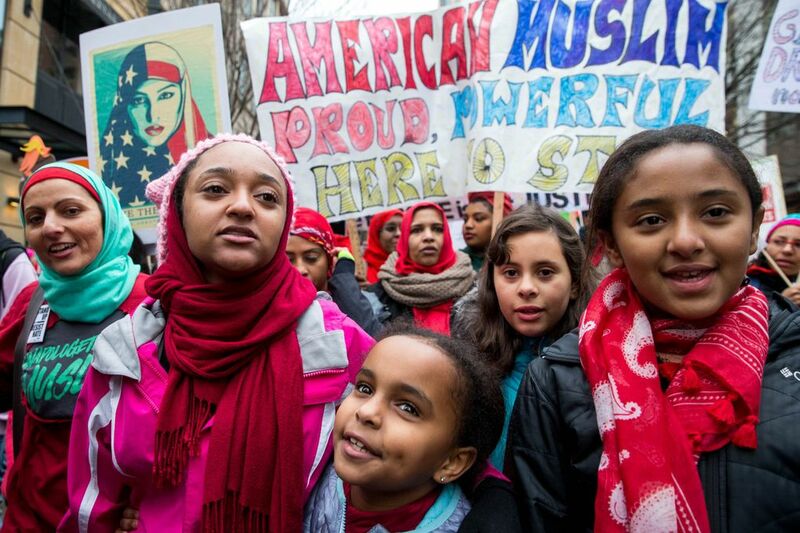 Thousands of others gathered in cities across the nation. 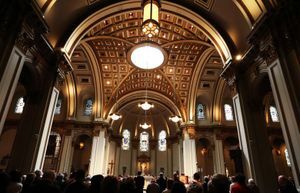 In Washington, D.C., U.S. Sen. Kirsten Gillibrand and U.S. Rep. Nancy Pelosi, both Democrats, urged women to vote for office. In Palm Beach, Florida, several hundred people carried anti-Trump signs outside Trump’s Mar-a-Lago estate. Most of the marchers have left Cal Anderson Park but there are still a few people waiting. 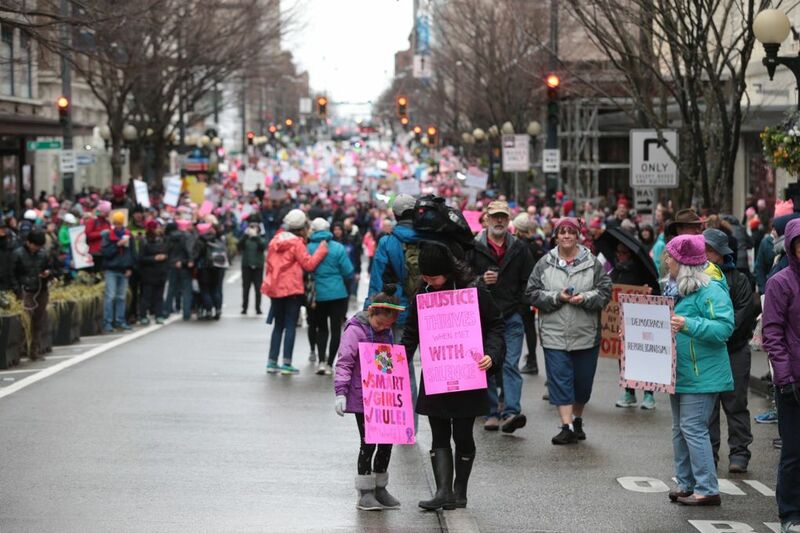 The Women’s March is underway and moving slowly toward downtown. 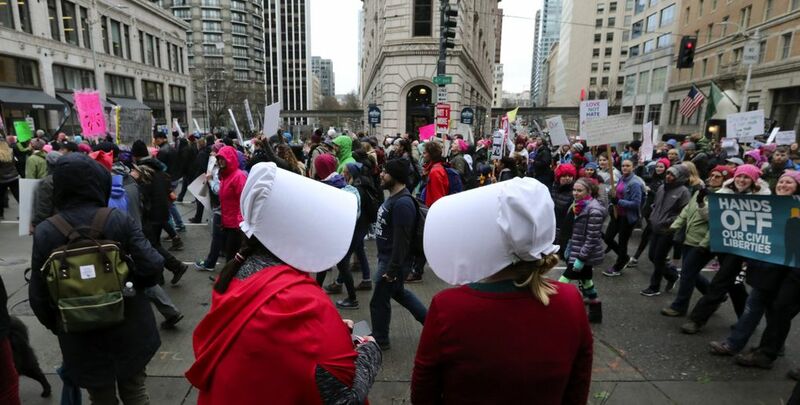 The marchers have started walking toward downtown Seattle. Transit service is experiencing significant overloads in and around the city, King County Metro said. Route 8 passengers must transfer near Group Health to continue to Queen Anne or Mount Baker. 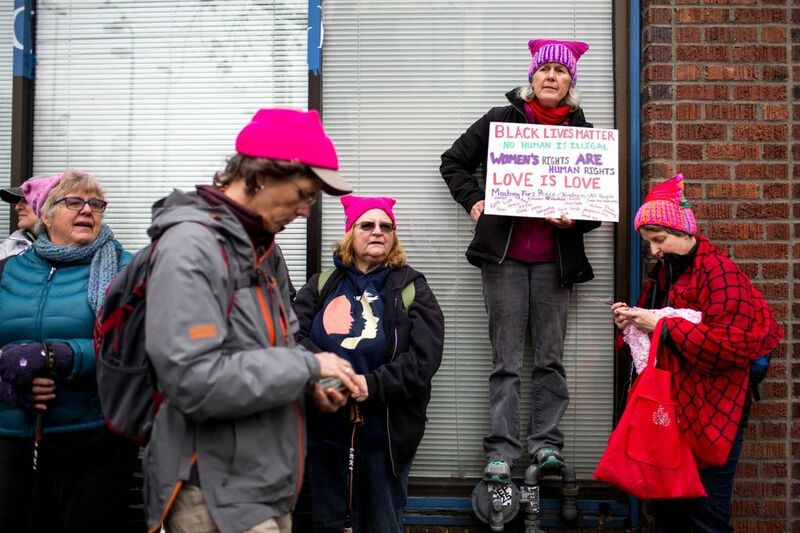 Meanwhile, a Women’s March in Olympia is underway. 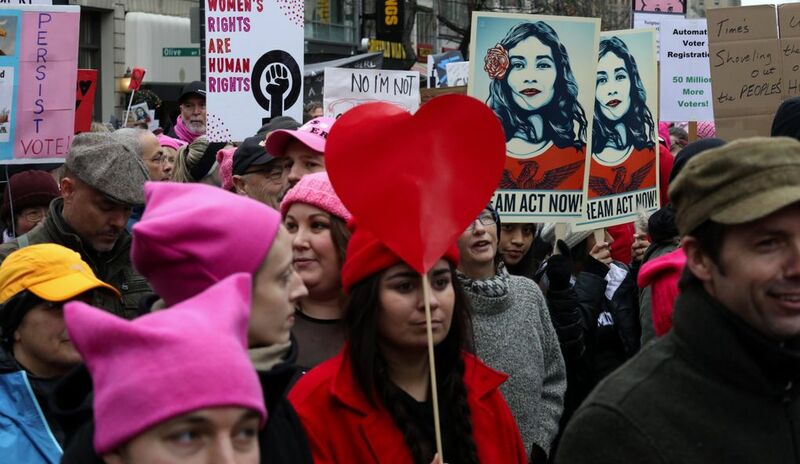 “We now have a majority people of color and a super-majority women council, and that is because of our movement,” she said. 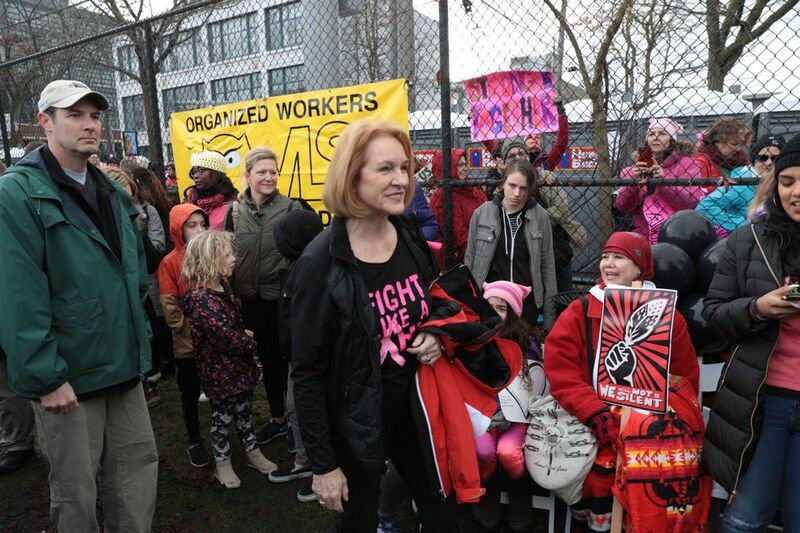 Wearing a shirt that says “Fight like a girl,” Mayor Jenny Durkan said the mayor’s office wants to make Seattle more affordable and inclusive, and stand up to racism and sexism. 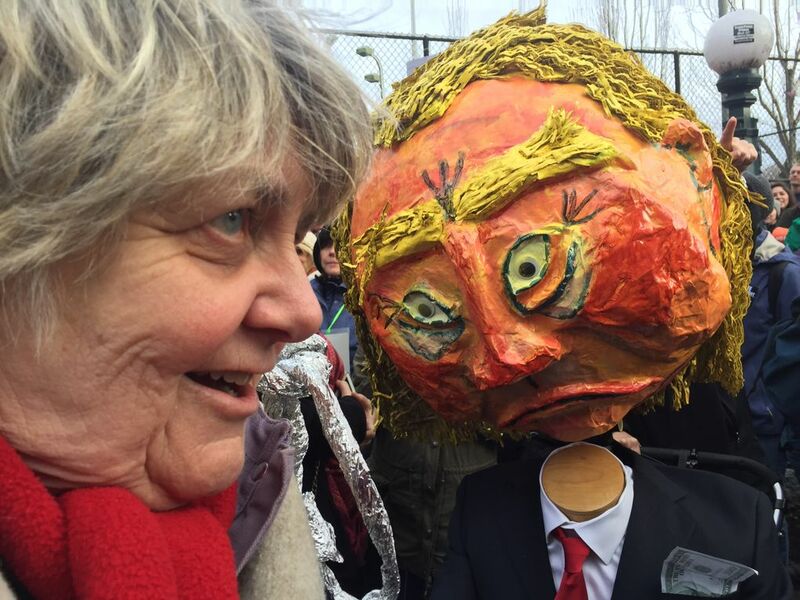 She slammed the Trump administration’s threat to arrest leaders of sanctuary cities, including Seattle. Current and former elected officials are speaking at the rally at Cal Anderson Park. 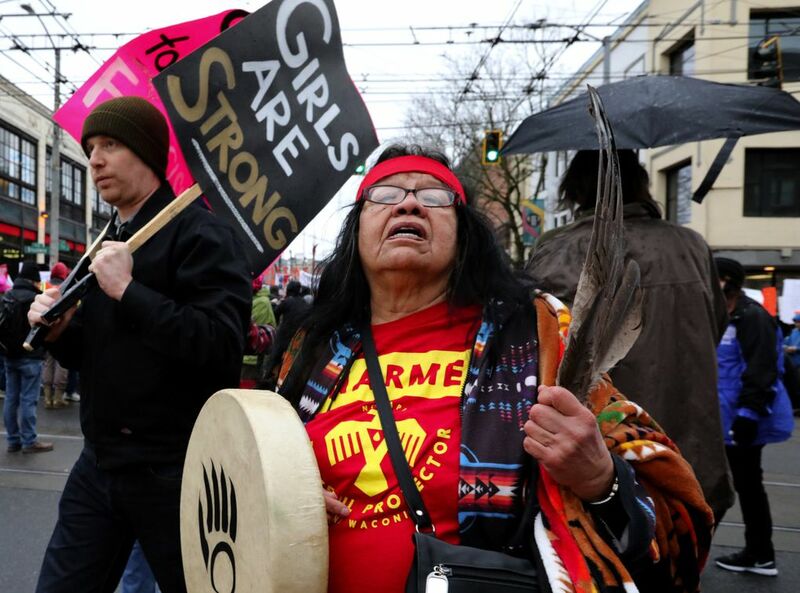 Former Tulalip Tribes vice chair Deborah Parker recounted marching in Washington D.C. last year but said “it’s good to be home” this year. 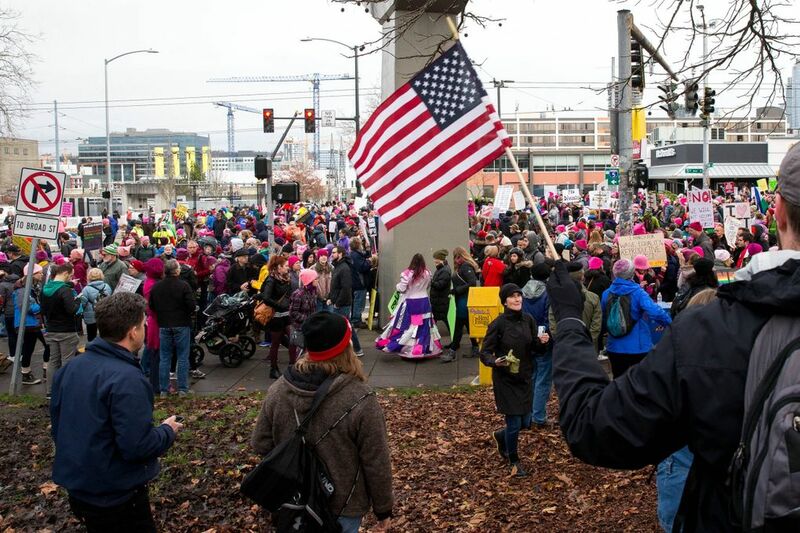 State Rep. Kristine Reeves, D-Federal Way, was met with applause when she mentioned the Gender Pay Equity Act, passed by the House, and the Voting Rights Act, passed by the Senate, earlier this week. 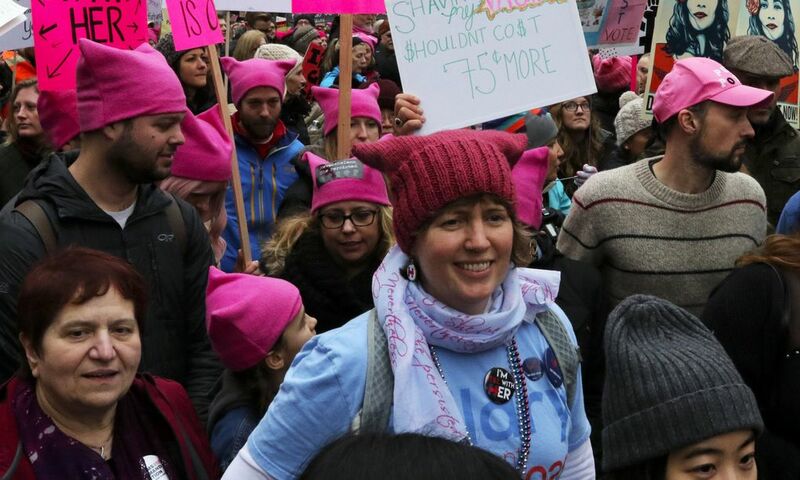 “I’m honored and privileged to serve as a state representative, but more importantly, I’m proud to stand on this stage as a working mom of two small kids who deserve better in this country,” she said. A black backpack was dropped and left near a group of counter-protesters called the Patriot Prayer. Police detained one person. 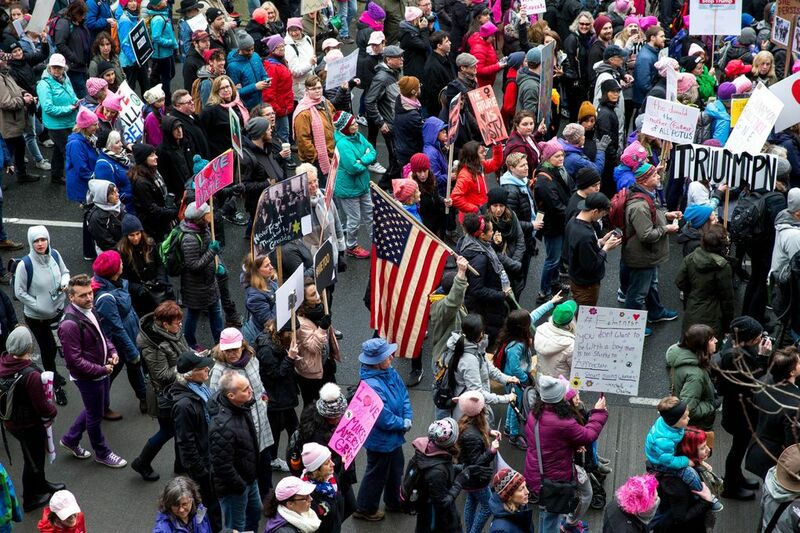 First-time and experienced marchers say the political landscape has motivated them to follow the news more closely and donate to charitable organizations. 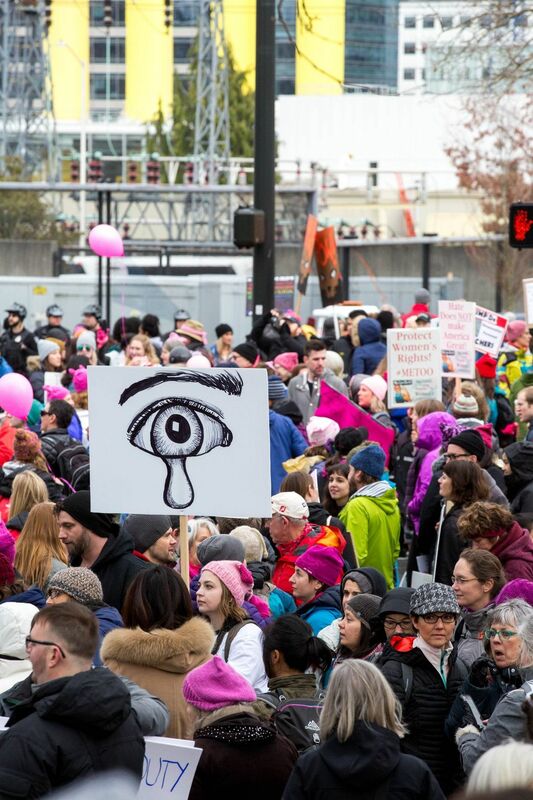 Many participants have cited the #MeToo movement, which showed the prevalence of sexual assault and misconduct. Nate Cocanour, 27, said when he saw posts on social media about sexual abuse and harassment from friends and family members, “it’s closer to home.” His girlfriend, Sarah Chisholm, said the day is about being around people with common beliefs. Hundreds of people are at Cal Anderson Park for the start of the Women’s March. 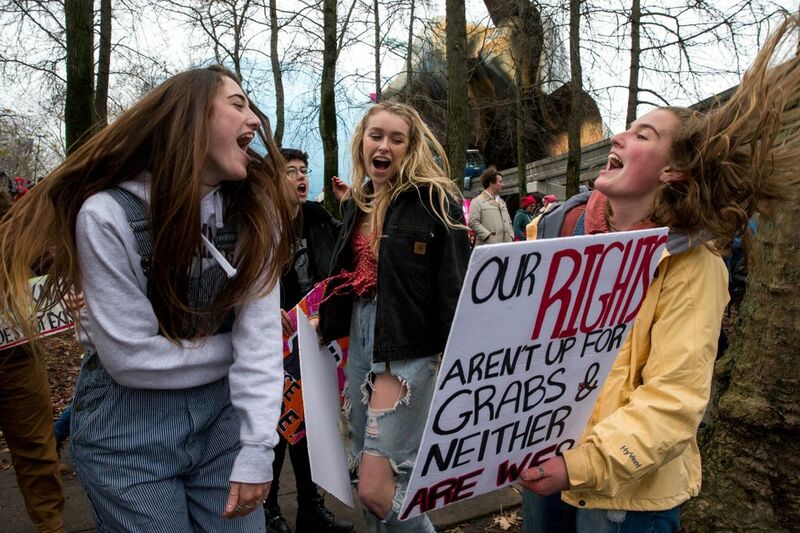 People are starting to gather at Cal Anderson Park on Seattle’s Capitol Hill for the start of the Women’s March. 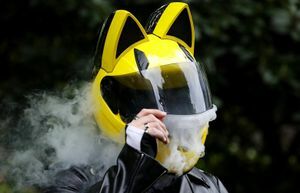 The official program will start at 10 a.m., but organizers suggested people arrive early to avoid traffic and parking headaches. 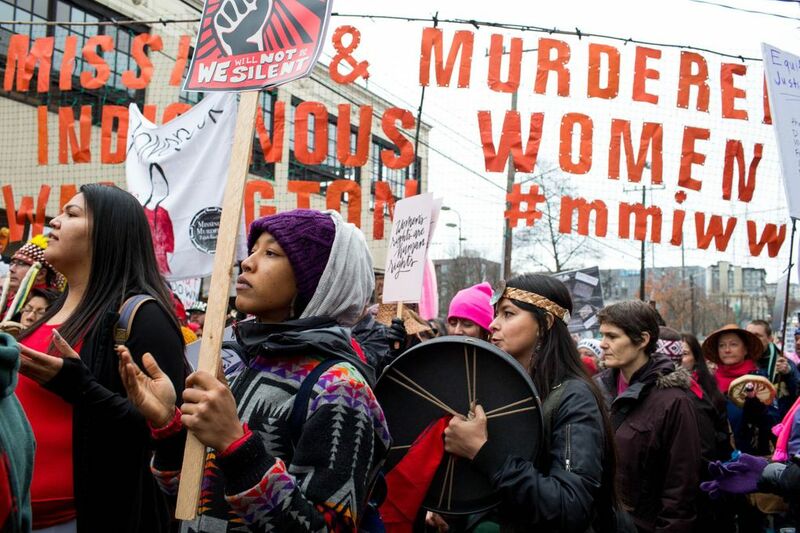 The march will be led by members of the Missing and Murdered Indigenous Women group who work to bring awareness to the epidemic of violence against indigenous women in the United States and Canada. 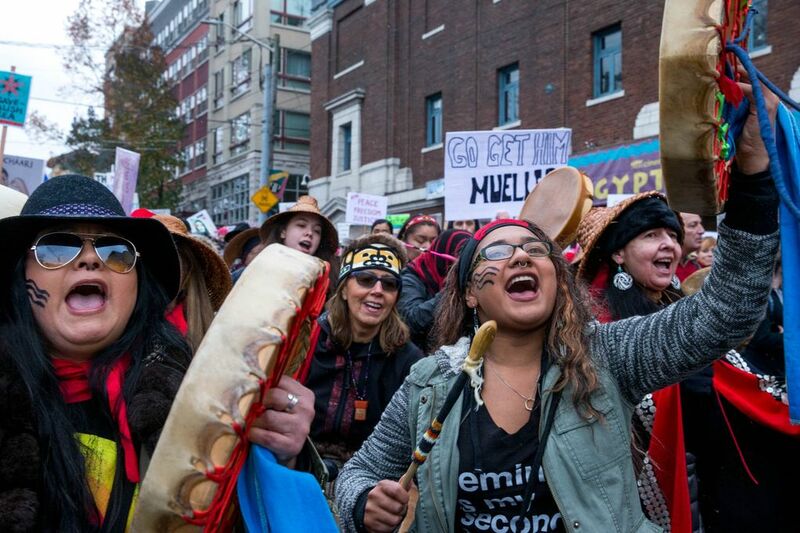 The group began with opening prayers by Duwamish tribal member Blake Shelafoe and Duwamish chairwoman Cecile Hansen, who is a descendant of Chief Seattle. 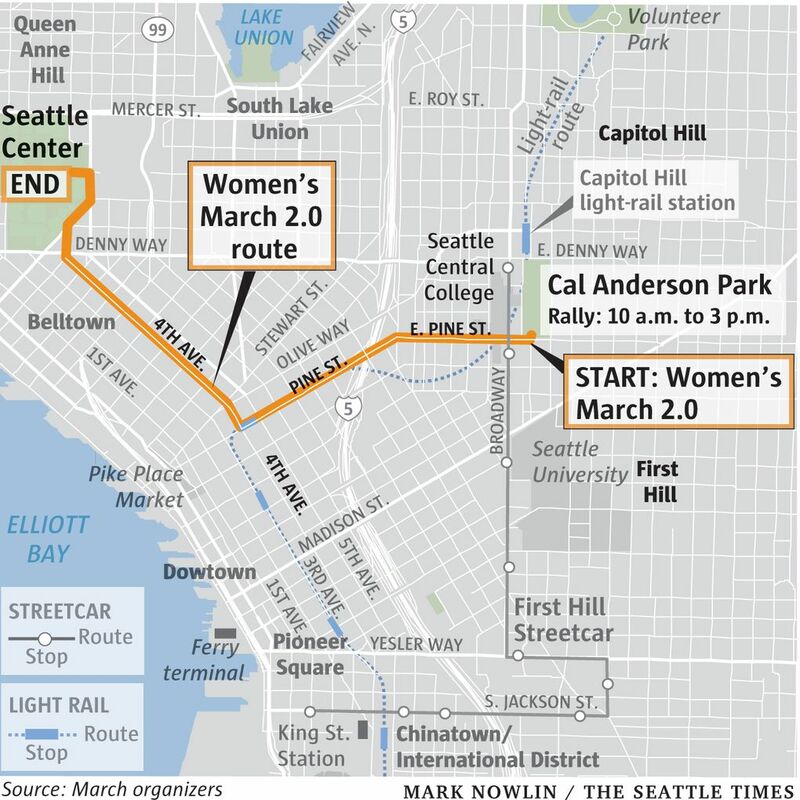 We will be posting live updates about the Women’s March in Seattle starting around 9 a.m. Seattle Times journalists Jessica Lee, David Gutman, Michelle Baruchman, Bettina Hansen, Courtney Pedroza and Alan Berner will provide updates from the scene. 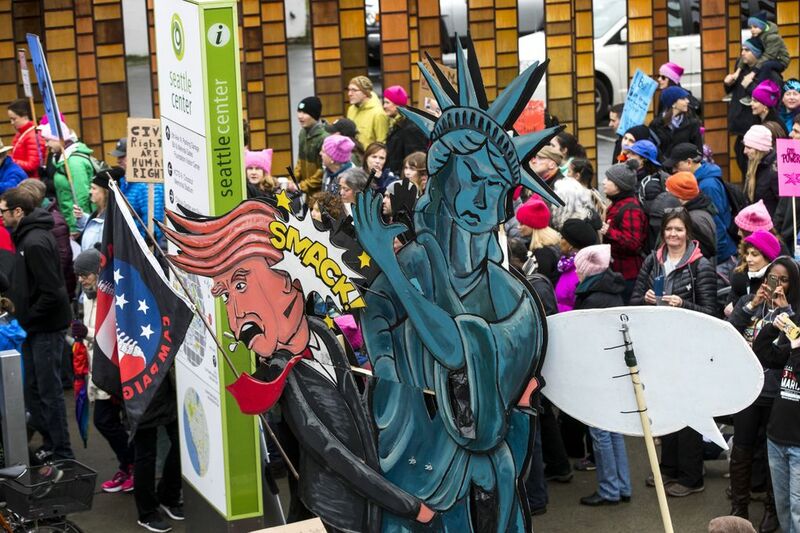 People attending Saturday’s demonstration should arrive at Cal Anderson Park before 9:30 a.m., organizers said. 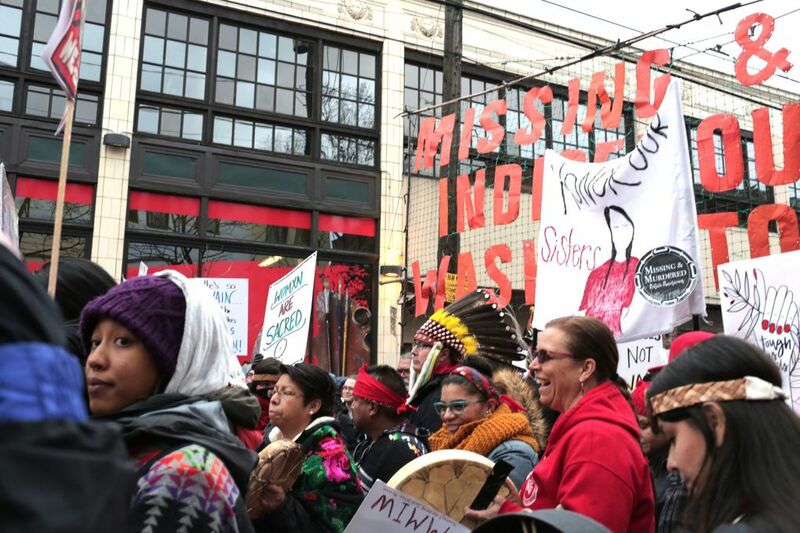 A rally with music, speeches and performers will start at 10 a.m. Then, members of the Missing and Murdered Indigenous Women of Seattle will lead the march at 11:30 a.m. 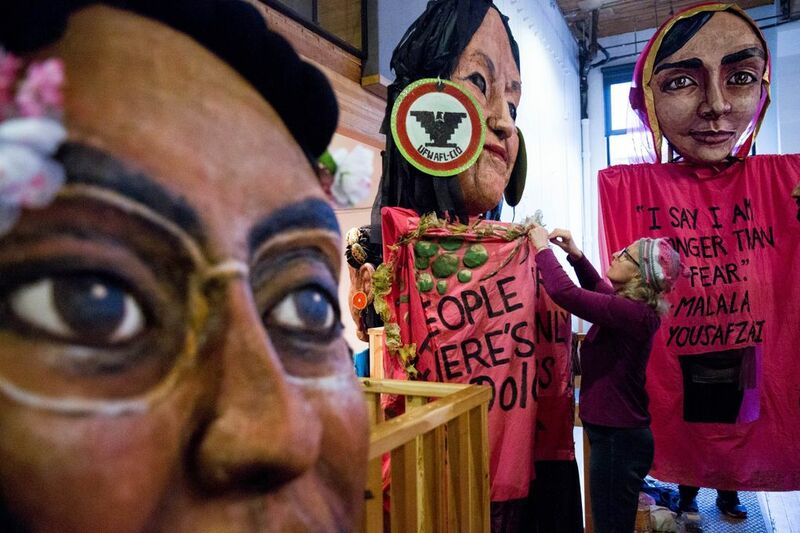 The crowd will head west on Pine Street and north on Fourth Avenue before entering Seattle Center from Harrison Street, according to march organizers. 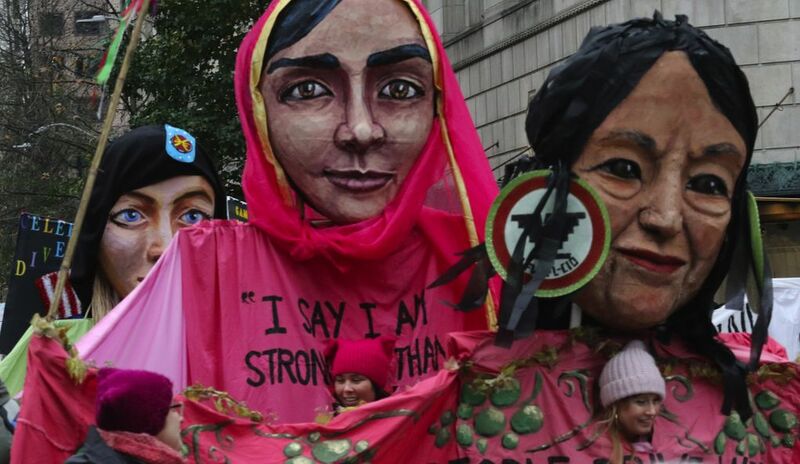 Organizers anticipate the march to wrap up around 3 p.m.